In alignment with our commitment to solve the challenges of today and tomorrow, we are focused on building advancements in global architecture and enterprise cloud-based computing. By enabling an open, agile environment for innovation, our solutions will reduce information technology overhead, support applications on-demand, and improve operations. 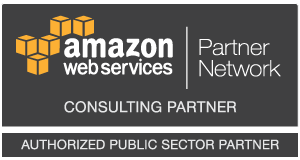 Red Arch Solutions is an Amazon Web Services (AWS) Standard Tier Consulting Partner and Authorized Public Sector Partner. We are also a Registered Pivotal Ready Partner. We bring certified Solutions Architects, Developers and SysOps administrators to task, in order to help our clients with cloud solutions. We understand the need and cost savings of using cloud “as-a-service” and how that allows our clients to invest more time and money into solving problems rather than managing infrastructure. Our flexible business model allows scalable services to be launched rapidly and efficiently, regardless of the geography, size of the organization, or size and variety of the data sets. We provide the most secure, scalable, and manageable cloud solutions through an infrastructure designed to support ‘Big Data’ analytics, enabling large enterprises to dramatically scale up storage, compute, and network capacity on-demand. Our advanced global architecture enables the building of real-time federations of heterogeneous capabilities including sensors, data sources, analytics, and metadata. Our solution introduces a Data Fusion Architecture with the ability to conduct real-time and near real-time Multi-INT fusion within the cloud-based environment.